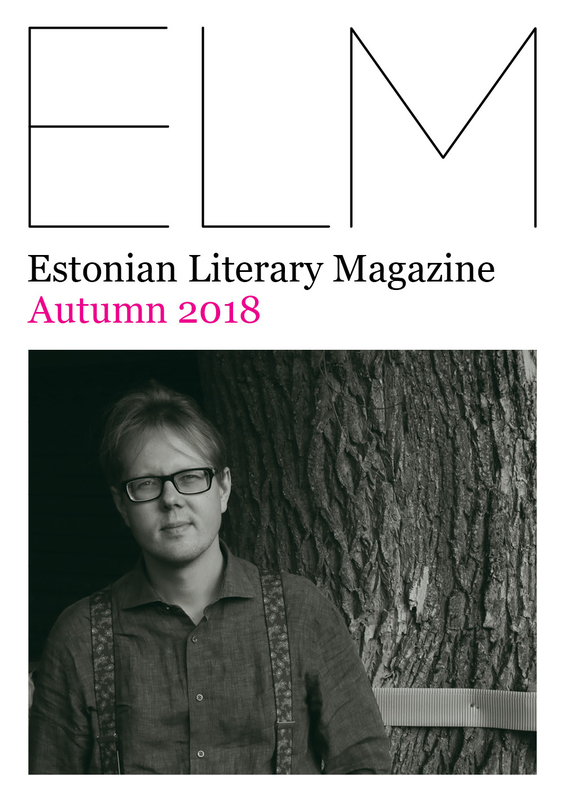 In the autumn issue of the Estonian Literary Magazine Vahur Afanasjev discusses our place in the world and talks about life in Peipsiveer, Viivi Luik explains why it’s good to leave Estonia for a while, Hasso Krull delves into the poetics of Aare Pilv’s clouds and Maarja Kangro analyzes the essence of the prize frenzy. There is also a new column in ELM, “A Perfect Day”, and the author of the opening text is Eva Koff. The English-language literary magazine of the Estonian Institute introduces Estonian literature at the book fairs in Göteborg, Frankfurt and Turku, and is also available to anyone who is interested. In addition, the magazine can now be read on the fresh website elm.estinst.ee. “Rebirth, resurrection, nirvana – religion offers many opportunities to believe there’s something greater, something more beautiful, something purer than man. That something lies beyond earthly life and human intelligence, but at the same time is something towards which one can advance and, perhaps, even reach if he tries hard enough. Still, the person is most important of all. […] I have one life and one death. It’s a heavy thought, but it makes it that much clearer how much you must care for yourself and others,” says Vahur Afanasjev in an interview to Holger Kaints. In addition, Adam Cullen looks back at the EstLitFest held in London in spring, Kadri Hinrikus talks about the umwelt of children and rejoicing about what we have, and Mihkel Seeder gives an overview of the latest Estonian dramatic literature. Finally, there are, of course, book reviews. In Estonia, the ELM can be found from the larger libraries and bookstores, Krisostomus (Raekoja plats 11) in Tartu, Puänt (Telliskivi 60a/1) and the Estonian Institute’s office (Suur-Karja 14) in Tallinn. The Estonian Literary Magazine is published since 1995, the publication of the magazine is supported by the Estonian Ministry of Culture and the Cultural Endowment of Estonia. The editor of the magazine is Berit Kaschan.